Matt focuses his practice on environmental law and litigation. He assists businesses, developers, and landowners with the many environmental issues that accompany the purchase, sale, and redevelopment of contaminated and brownfield properties, including due diligence review, remediation strategy and implementation, regulatory compliance and closure, and cost-recovery under Washington’s Model Toxics Control Act (MTCA), Oregon’s state superfund law, and the federal Comprehensive Environmental Response, Compensation, and Liability Act (CERCLA). He also has extensive experience drafting and negotiating contractual provisions that allocate environmental liability under those laws. 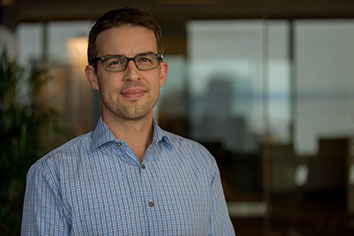 Matt also assists clients in complex environmental litigation, multi-party allocation proceedings, and natural resource damage claims relating to large, upland and sediment cleanup sites, including the Portland Harbor Superfund Site. Additionally, Matt has helped industrial and construction clients with Clean Water Act and Clean Air Act compliance and enforcement issues, and has a range of experience in general commercial litigation, including contractual disputes, lien foreclosures, landlord-tenant disputes, and insurance claims. A graduate of the University of Washington School of Law, Matt is licensed to practice in the state and federal courts of Washington and Oregon, as well as Colorado’s federal district court. In his free time, Matt can likely be found catering to his toddler son’s fascination with trains, trucks, and construction equipment.